El Centro is located in Imperial County on the international border with Mexico. Imperial County has 7 incorporated cities: El Centro, Brawley, Calexico, Imperial, Holtville, Calipatria and Westmorland. If your family member is arrested in any of these towns he/she will be transported to the Imperial County Sheriff’s Station located in El Centro. Processing of your family member or friend will take from 4 to 6 hours before release after bail has been posted. Please visit our San Diego Bail Bonds page for agents in that county. Arrest and Booking: After the arrest of your family member or friend, he/she will usually be taken to the Imperial County Sheriff’s Station for the necessary paperwork to be done. This process usually involves taking personal information, recording information about the alleged offense, searching records for previous offenses, taking fingerprints and photos, and placing them in a holding cell. 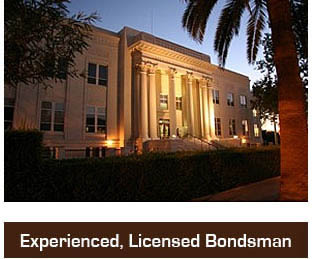 El Centro Bail Bondsmen, CALL PREMIERE BAIL BONDS AT 1-800-662-0056. Our agents are available to help you 24 hours a day 7 days a week. All information discussed with us is always held with the utmost confidence. 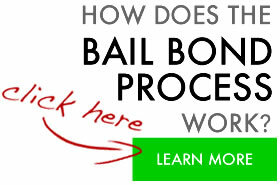 Our experience in the bail industry has been nothing but exemplary in Southern California for the past 20 years. That is why Premiere Bail Bonds in California has decided to implement a new service for you in order to make the process of obtaining bail as simple as possible and for you to understand just how bail works in El Centro California. The Premiere Bail Bonds site has been designed to help you with important information so that you can get your family member or friend out of jail as quickly as possible. The information on this page will help you to understand the bail process, and to anticipate what to expect when the posting of bail is completed for the El Centro area. To help you understand the legal procedures from arrest to the posting of bail, we offer the following information as a general guide. Procedures may vary between Imperial County Detention Facilities. How do I find out if and where my family member or friend is being detained, or if they have a bond in El Centro? You can contact our office as soon as you believe your family member or friend has been detained and we will begin the investigation into his/her status immediately and usually have a response within a short period and will contact you with all pertinent information so that the bond can be posted right away. At the bottom of this page we have provide important phone numbers to assist you in locating your family member or friend. How soon after a person is taken into custody can I bond them out in El Centro? As soon as you contact Premiere Bail Bonds and we obtain the information we can get your family member or friend out of jail. Usually the person who is taken into custody will know his/her bail amount when he/she contacts you for your help. Contrary to what most of us believe, you do not have to wait for a bond hearing in the courts. So the sooner you contact us, the sooner we can get them out of jail. When my family member or friend is in custody at the Imperial County Sheriff’s facility, how long will the process take to get him/her released? Once one of our bond agents arrives at the Imperial County Sheriff’s Facility, the paperwork takes approximately 15-30 minutes to complete and post. Then depending on how busy the station is, the time it takes to process your family member or friend could be from 45 minutes to a few hours. What you don’t want to do is to keep calling the station because this only takes away from the officer processing your family member or friend in order to release them from jail. We here at Premiere Bail Bonds want to help you as much as we can. So the following information is being provided for your convenience. Once you have determined your family member or friend is in custody and we have verified their whereabouts the following link will guide you to the facility.